This is independent editorial content written by a PropertyMash Journalist. 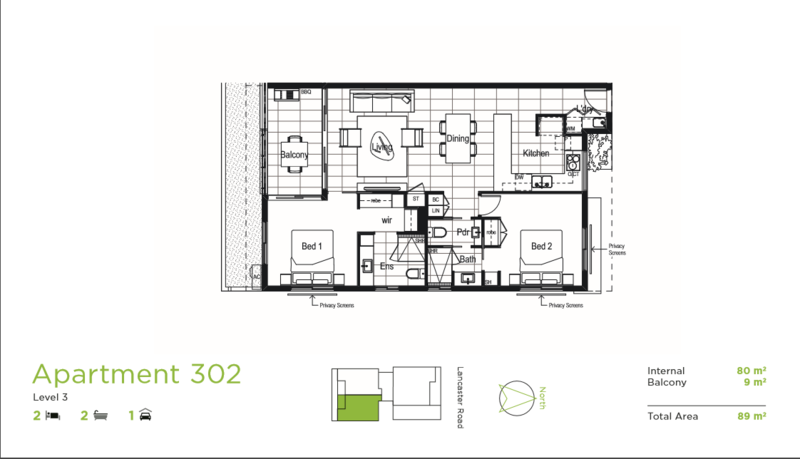 While we try to ensure all information is as accurate as possible, please double check with the developer or real estate agent directly before making a purchasing decision. The information contained within this article may be incorrect or out of date. 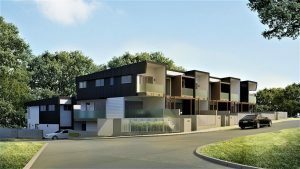 Ascot Farm is a small boutique project in the prestigious Brisbane suburb of Ascot, with eight two (2) bedroom apartments starting from $595,000 and capping out at $630,000, and one three (3) bedroom penthouse apartment (with price on application). 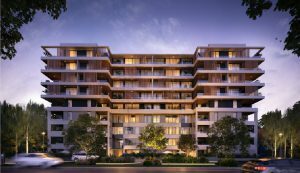 The project is located on 297 Lancaster Road, just off Nudgee Road, with city views from most apartments. The project also cites security as being paramount in the building design, as it incorporates secure basement parking spaces with audio-visual intercoms for both pedestrian and vehicle access. There are visitor parking spaces, and Lancaster Road boasts bountiful street parking. 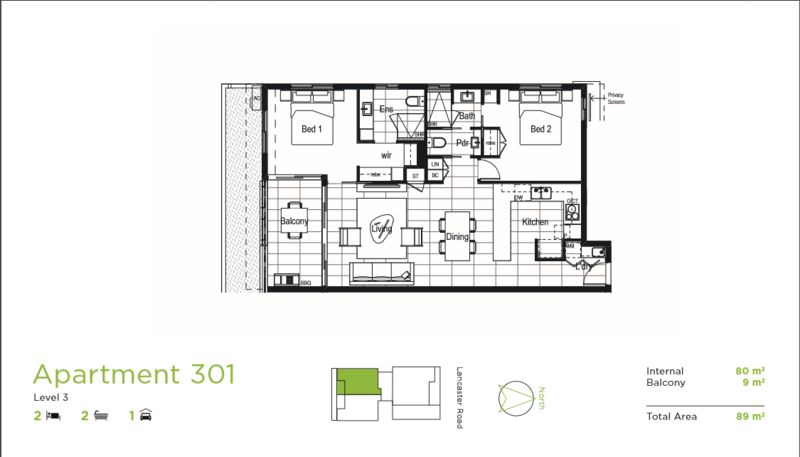 Ascot Farm will have lift-serviced apartments, which are all designed with an emphasis on indoor-outdoor flow, and as such, include several features that aim to create space. 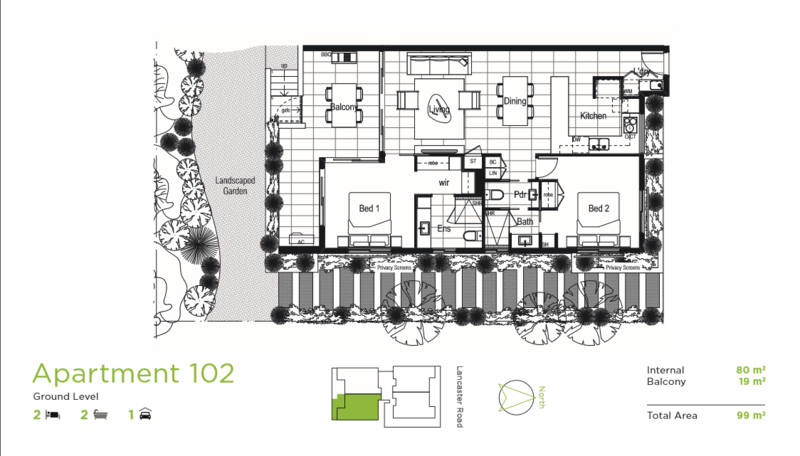 This includes having living zones and master bedrooms spill onto a Travertine tiled alfresco entertaining terrace, with courtyard apartments 101 and 102 featuring terrace access directly into private landscaped courtyards. 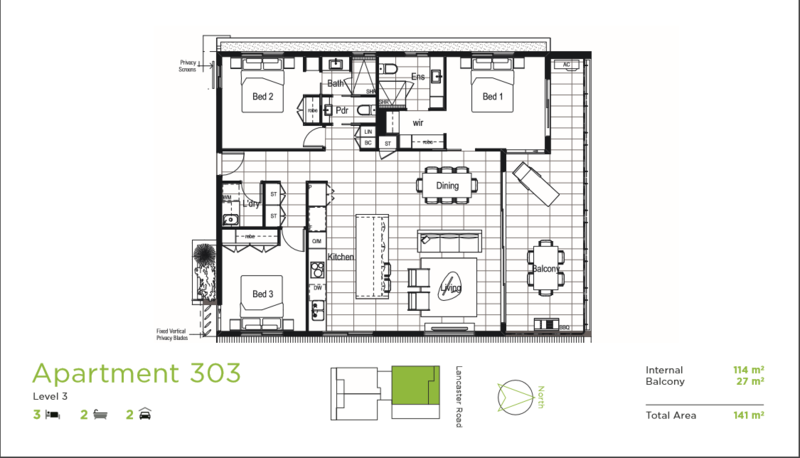 These same apartments also incorporate 3.1-metre high ceilings, while apartments 201 – 302 feature 2.65-metre high ceilings with city or racecourse views. 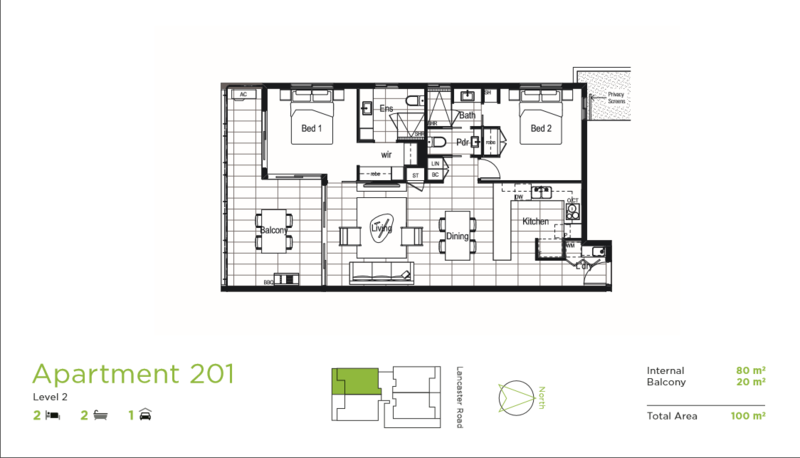 All apartments are pet-friendly, the courtyard apartments in particular. 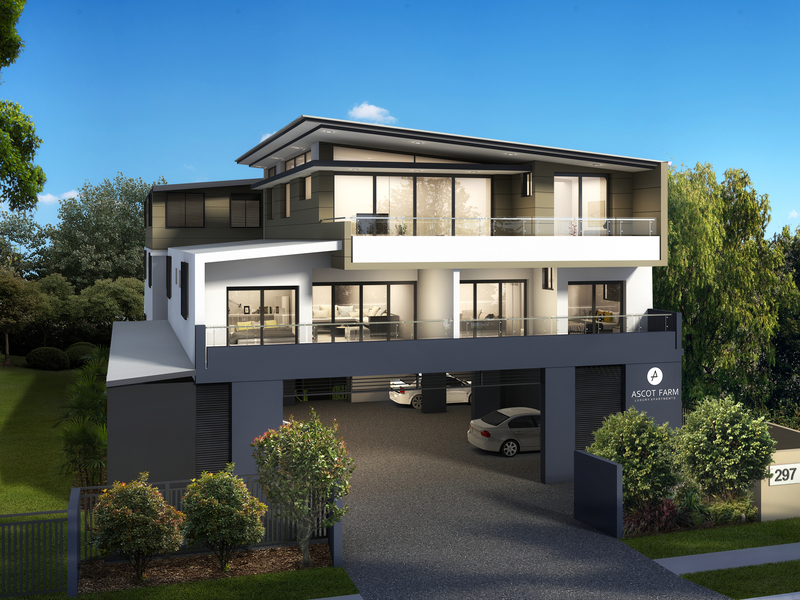 Bunya HeightsBrand-new Everton Hills townhouses ready to move into today. 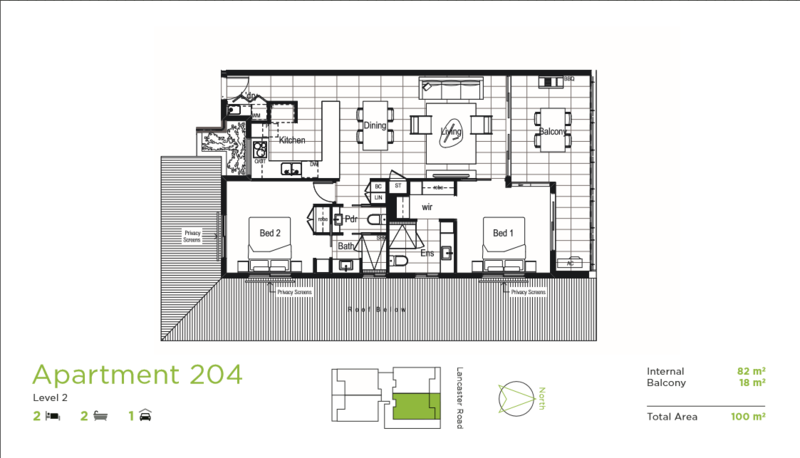 Park Central One WoolloongabbaCentral Brisbane apartments with excellent facilities — starting at just $350k! 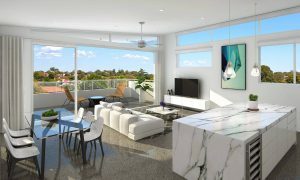 All apartments will include polished concrete flooring, Oak accents, and stone benchtops, as well as European Ilve appliances in the kitchen. 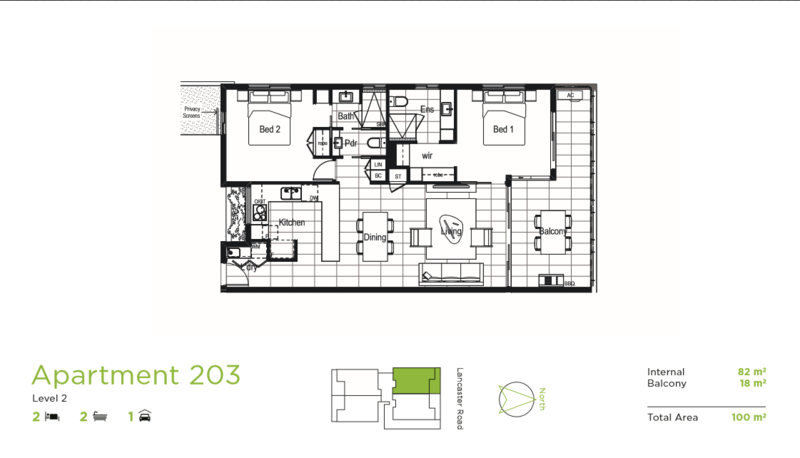 Each apartment also includes air-conditioning, ceiling fans, insect screens, and full window furnishings. They will only have split air-conditioning, however, the condensers are on the side of the building (which differs from the plans above). We really like the look of the penthouse apartment, which has the high raked ceiling which should let in lots of natural light. 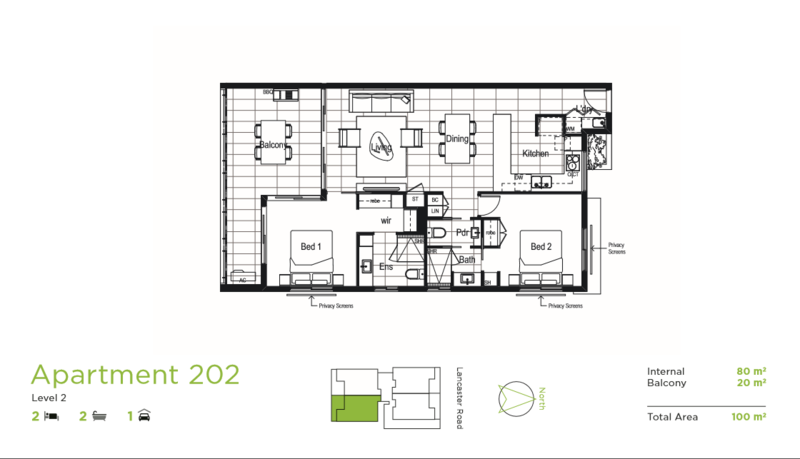 The full-size kitchens will also appeal to downsizers moving out of a house in the area, as will the quite large balconies. 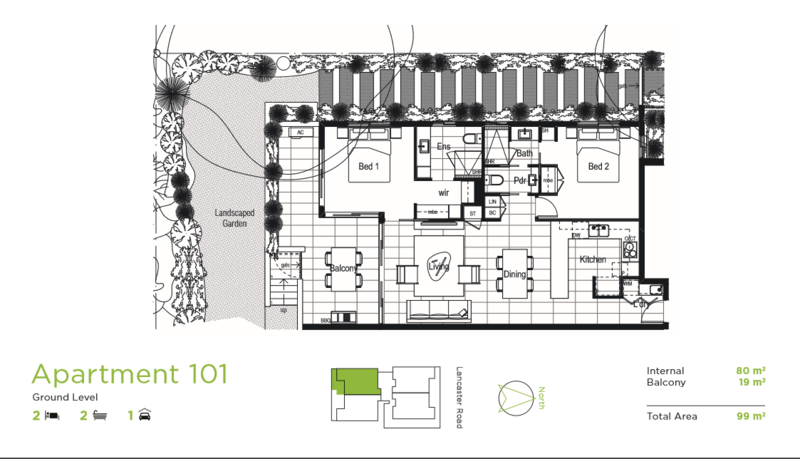 The central location of Ascot Farm is a strength. 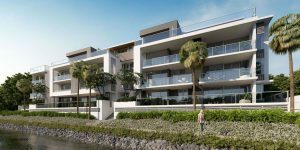 Only 6km from the CBD, and 10 minutes from the Brisbane Airport, the apartments also offer easy access to the M1, Gold and Sunshine Coasts through Nudgee Road. 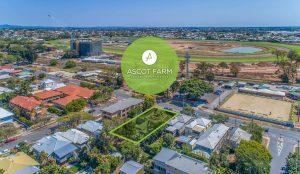 Ascot Farm is also within four blocks of Racecourse Road, and all the local amenities available there, including supermarkets, retail and entertainment stores. 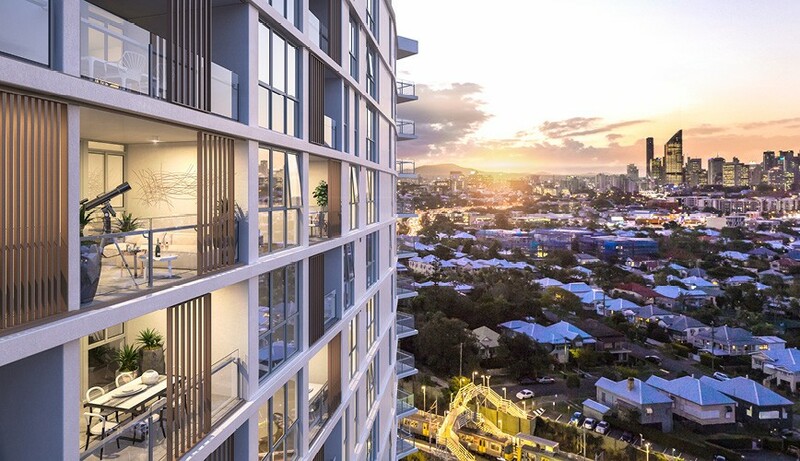 The project is also in close proximity to Portside Wharf, a booming waterfront precinct that has a wide selection of excellent restaurants and bars, and a cinema. 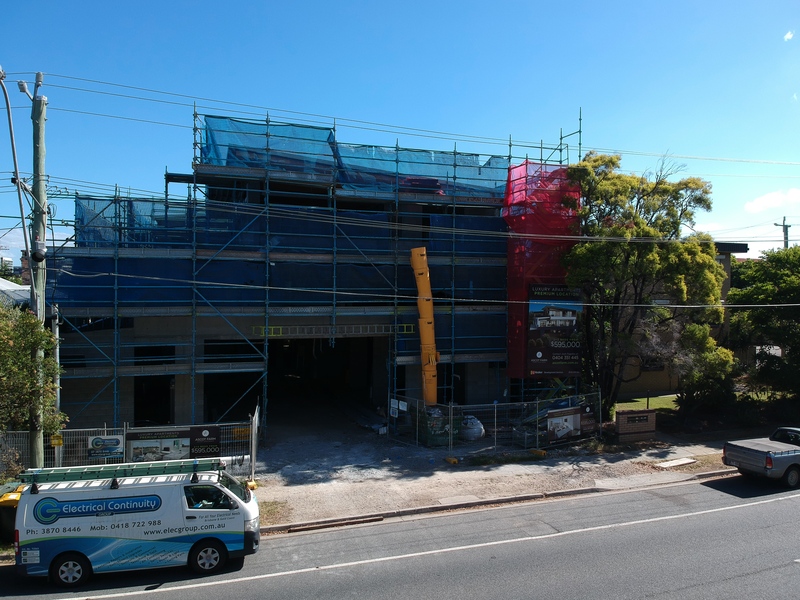 The Doomben and Ascot stations are within walking distance, and there are three bus stops on Lancaster Road within 200 metres. 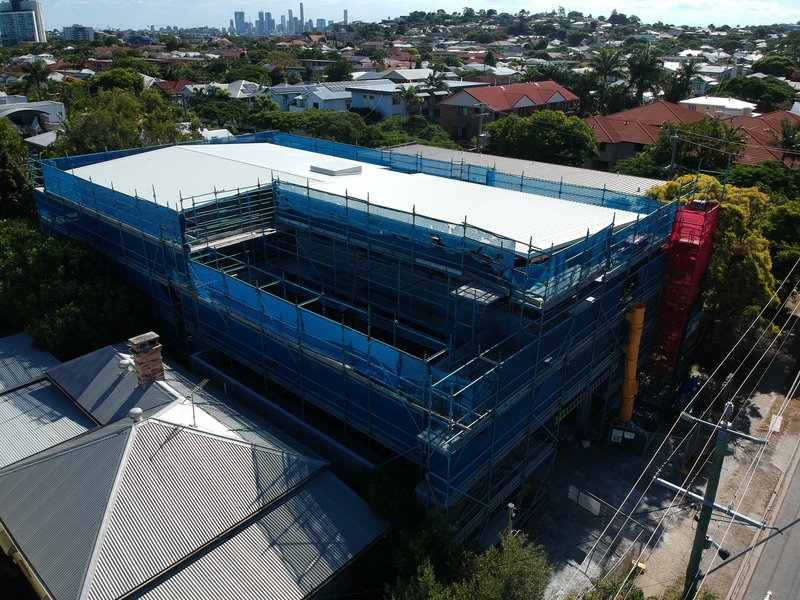 It is close to some of Brisbane’s premier private schools, including St. Margret’s Anglican Girls School, Clayfield College, St. Rita’s College, and is within 10 minutes drive of Eagle Farm TAFE Queensland SkillsTech. Together, you have an overall excellent location. The proximity to the Eagle Farm Racecourse is however both a positive and negative. 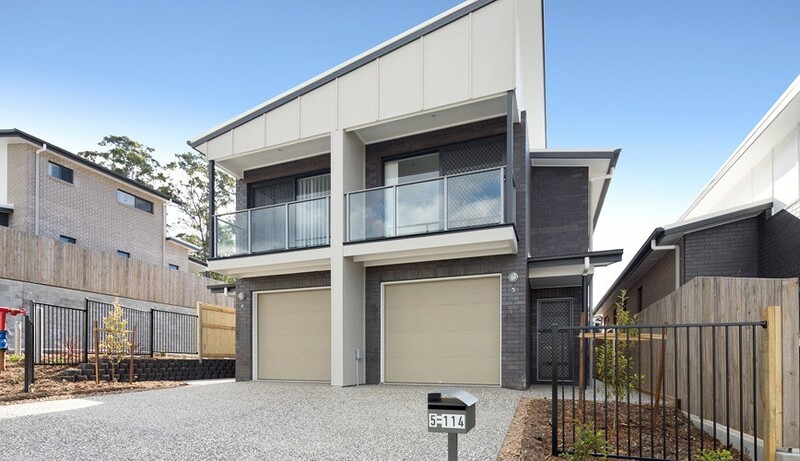 It is a positive in that it decreases the number of neighbours approximate to the property, creating views that are, for the most part, uninterrupted, and providing easy access to all of the services it offers. As a negative, however, it is directly opposite the Eagle Farm racecourse, so you will expect busy road and foot traffic on Saturdays when the horse racing is on, and perhaps early morning sounds from the daily track work. 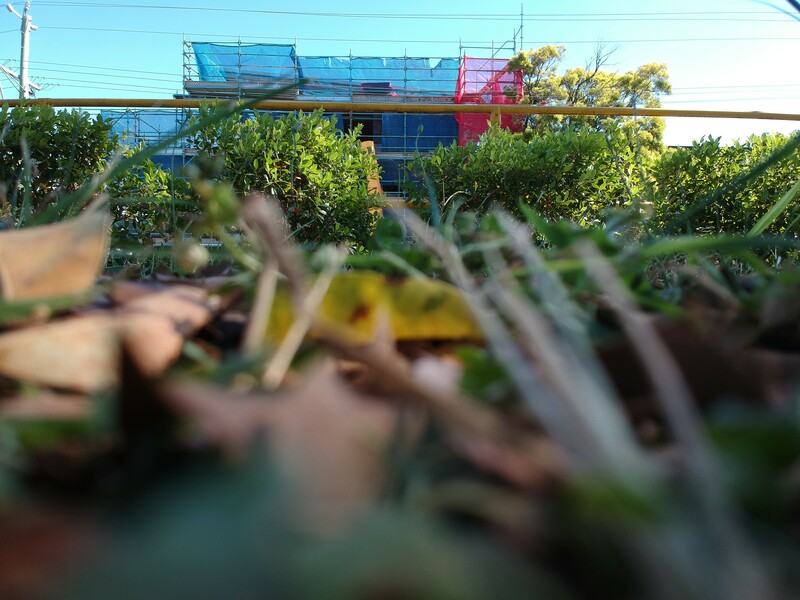 Ascot farm is also opposite Mirvac’s new multi-million-dollar ‘Ascot Green’ development (which you can see in the above photo in the background) which is well underway. 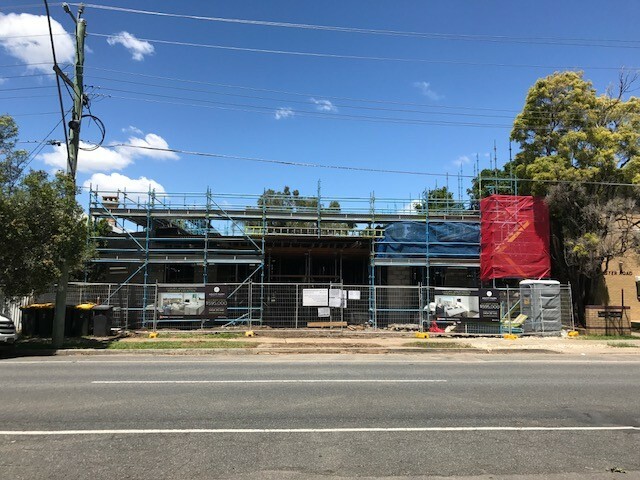 It will bring a wide selection of new retail, entertainment and leisure alternatives to the area, which should be a big plus for residents of Ascot Farm. Body corporate rates are very affordable at $40 per week. The project is being built by Northbuild who are very experienced and professional builders.